Not only do I like to look behind things, I get a strange satisfaction in seeing the details of assembly. In this case, I was drawn to those twisted wires, in different colors, with those strange leggy ends poking in different directions. 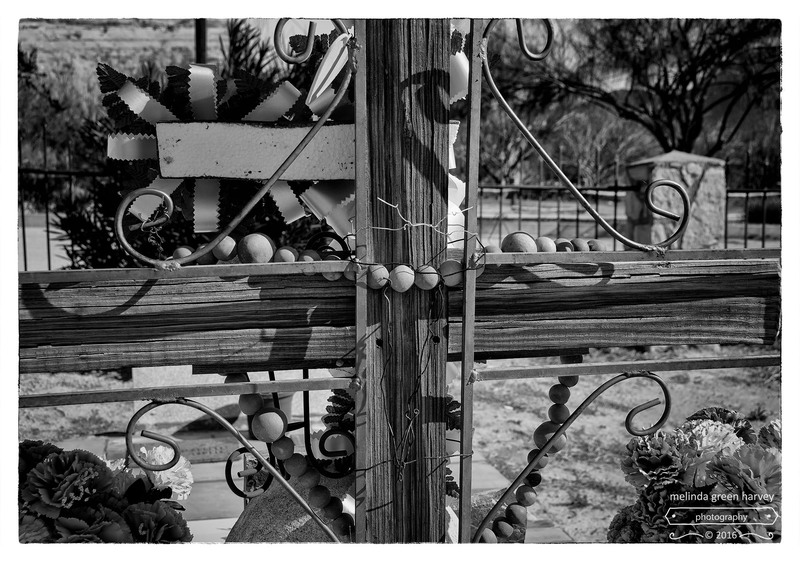 Posted on December 1, 2016, in Photography and tagged 365 photo project, black and white photography, cemetery, lajitas, lajitas cemetery, lajitas texas, melinda green harvey, monochrome, NIK Silver Efex Pro 2, one day one image, photo a day, photography, postaday, texas. Bookmark the permalink. 5 Comments. That’s what we expect and enjoy about you. How’s that for pressure? So. Much. Pressure. I can handle it, though. I think. Thanks, Kate. My dad was a civil engineer so I guess a little but of that rubbed off on me! I hope your holidays are wonderful!